Consult your healthcare provider before you start a no or low carb diet. Know many foods that you will be able to eat to make weight lose easy! Carbohydrates (carbs) are compounds that can be converted to saccharides or sugars. The two types of carbs are simple monosaccharides and complex polysaccharides. The simple carbs are those found in fruit, pasta and white sugar. The complex carbohydrates are harder to digest, making them more filling and providing the body with more energy. These complex carbs are those found in rice, vegetables and whole grain cereal and bread. What Is a No Carb Diet? Carbohydrates account for many calories in the normal person's diet because they so readily convert to starch and then to sugar. One way to lose weight is to cut carbs out of the diet - that is, only eat food items that do not contain any carbohydrates. 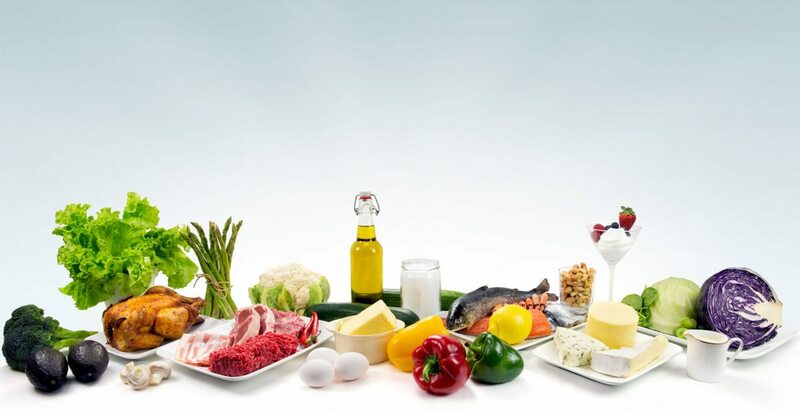 If you decide to go on a diet without carb, it is important that you understand that this diet should not be one you stay on for the rest of your life. Prolonged lack of carbohydrates in your diet may cause health problems such as confusion and muscle cramping. However, a diet without carb over a short period can help you lose weight relatively quickly. In order to stay on this diet, you should know what foods are carbohydrate-free. Meat. High in protein and vitamins, most meats do not contain any carbs. This includes beef, pork, veal, duck, goose, chicken and turkey. Fish. Salmon, halibut, trout, mackerel, and sardines are great for losing weight because they are high in protein but low in carbs and fats. Vegetables. Many vegetables do contain carbohydrates but many of the leafy green vegetables (spinach, lettuce, celery, kale, and turnip greens) are great choices for the diet without carb. You can also include vegetables such as peppers, mushrooms, olives, artichokes, asparagus, green beans, carrots, squash, and onions. Avoid starchy vegetables like corn, potatoes and peas. Fruits. Many fruits contain carbohydrates but cranberries and raspberries are low in carb. Although commonly thought of as vegetables, avocadoes and tomatoes are actually fruits that do not contain carbohydrates. Dairy Products. Avoid milk for no carb diet but be sure to include other dairy products including no more than 4 ounces of cheese. Read the labels and look for cheese without carbohydrates. You can also include butter and margarine in diet but remember that these oils are high in fat, so use them in moderation. Eggs. Boiled or poached eggs are a great source of protein and other required dietary elements. They do not contain any carbs so will be a staple on a diet with low or no carb. Condiments. Flavoring food can make them much more palatable and can totally change your favorite no carb foods. Peppers, oregano, parsley, thyme, and rosemary can all be used to add flavor. Some pickles can be eaten but be sure to read labels since sugar is added to many pickles! Drinks. Finally, be sure to include plenty of no carb drinks in your diet. This can include coffee (no milk or sugar), tea, coconut water, diet soda, and water. Especially when you are on a diet, it is critical to get plenty of water to flush out impurities and keep your cells hydrated. The admonition to drink at least 8 glasses of water each day is particularly important on a diet without carb. Avoid drinking milk on this diet. Often, the hardest part of starting a new diet is planning meals during the first few days. To get started, use the menu plans below and alter them to fit your own taste. In addition to the water included at each meal, be sure to make an effort to drink a total of 64 ounces each day. Try starting each day with an 8-ounce glass of water.